Independence by Schell Brothers is an intimate active adult community that will have 455 elegant homes upon completion. This 55 and over community is situated on 330 acres of land in Millsboro, Delaware. Independence includes low-maintenance single-family homes with energy-efficient options, an active lifestyle, and a spacious clubhouse with a world-class lineup of amenities. Independence at Millsboro opened in 2007 only minutes away from inland bays, ocean beaches, and resort attractions in the Long Neck area of Coastal Delaware. Shopping outlets, malls, and boutiques are all close to Independence. In addition, the area features cultural events, including renowned film and music festivals throughout the year. 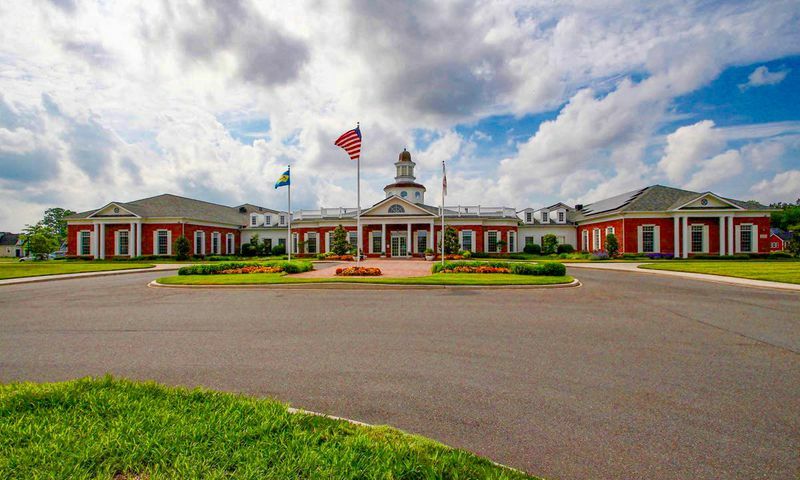 At 24,000 square feet, the award-winning clubhouse, aptly named Independence Hall, provides space and amenities one would expect to see in a community of much larger size. The state-of-the-art fitness center with aerobics studio and indoor pool with sauna are great for healthy workouts. For social aspects, there is a ballroom with bar and for meetings and other get togethers there is a conference room and lounge. Independence Hall also offers computers and hobby rooms. Outdoors, there are a variety of options for exercise and fun. Independence's residents can play tennis, volleyball, or horseshoes and practice their swing on the putting green. An outdoor pool with spa is a great place to relax and soak up the sun. Independence also has an outdoor patio and barbecue area, which are great for socializing outdoors. Plenty of parks and natural spaces surround the area and are sure to appeal to nature lovers. Schell Brothers started construction of Independence at Millsboro in 2007 and offers 12 unique Energy Star certified single-family home styles. These attractive are offers in two collections that range from 1,443 to 3,082 square feet in size. There are a variety of single-family home options that feature two to four bedrooms, two to three-and-a-half bathrooms, and attached garages. Some homes offer bonus rooms above the garage for storage options. Schell Brothers offers many Green features and countless customization options. The Green options are solar panels, geothermal heat pumps, tankless hot water heaters, closed cell spray foam insulation packages, upgraded insulation packages, and high-efficiency HVAC systems. High-performance windows are included in every home. Residents at Independence in Millsboro enjoy low-maintenance living in quality-built homes that are 20 to 30 percent more energy efficient than standard homes. The area offers a variety of cuisine and some of the cleanest beaches in the nation. In addition, the many interest groups and available on-site activities appeal to people with a large variety of interests. Independence residents meet regularly for poker and game nights, aquacise, yoga, Tai Chi, morning coffee, and movie nights. Some of the special interest groups are art club, billiards club, walking club, book club, and ballroom club. A full-time activities director also plans many fun events and outings. Independence residents may enjoy visiting the Nanticoke Indian Museum and playing a game or two of miniature golf at Long Neck Miniature Golf in Millsboro. Greater Millsboro contains a variety of State parks to appeal to nature lovers and plenty of golf courses for off-site recreation. Independence at Millsboro is only about eleven miles away from Rehoboth Beach and Delaware's Atlantic Ocean resorts are within 30 miles. A short 45-minute drive will take residents to historic Dover. Two hours or less will take residents to Baltimore, Philadelphia, or Washington DC. Besides countless shopping, dining and entertainment opportunities, all three cities have international airports. With so much to do within and outside of the community, Independence is a great option for 55+ homes in Southern Delaware. Independence Hall - 24,000 Sq. Ft. There are plenty of activities available in Independence. Here is a sample of some of the clubs, activities and classes offered here. Schell Brothers offers 12 different floor plans for you to choose from. Typically they range from 1,443 square feet to 3,082 square feet. These homes have two to four bedrooms, two to three-and-a-half baths, and an attached two to two-and-a-half-car garage. Several floor plans also feature a den for additional space or a guest bedroom. My husband and I have been here for two years now and really enjoy the friendly atmosphere. It's a small community with nice neighbors and quality homes. Our place is really unique and the curb appeal is charming. The clubhouse is wonderful, very nice pool and fitness center. 55places.com is not affiliated with the developer(s) or homeowners association of Independence. The information you submit is distributed to a 55places.com Partner Agent, who is a licensed real estate agent. The information regarding Independence has not been verified or approved by the developer or homeowners association. Please verify all information prior to purchasing. 55places.com is not responsible for any errors regarding the information displayed on this website.